Libya’s most-wanted man, former intelligence chief Abdullah al-Senussi, was extradited to Libya on September 5, where he is expected to undergo intense and thorough interrogation by Libyan authorities and possibly security officials of some of the other nations in which al-Senussi is wanted for various major crimes such as terrorism, murder and kidnapping (Agence Mauritanienne d’Information, September 5). After several months of unconfirmed reports of arrests and escapes, al-Senussi was arrested in Nouakchott in March and eventually charged with illegal entry to Mauritania and the use of forged documents (AFP, September 5). Mauritanian authorities were initially reluctant to return al-Senussi, saying he would have to face the minor charges facing him in Mauritania first. Al-Senussi is now being held in the small maximum security Hudba al-Gassi prison in Tripoli, where many former members of the Qaddafi regime are being held. The current roster of prisoners in the facility includes three former Prime Ministers and former military intelligence chief Mustafa al-Kharroubi. Before leaving Mauritania, Lebanese authorities succeeded in obtaining permission to interrogate as-Senussi regarding the disappearance in Tripoli of Lebanese Shiite leaders and Afwaj al-Muqawama al-Lubnaniya (AMAL) founder Imam Musa al-Sadr and two companions after a heated meeting with Mu’ammar al-Qaddafi in 1978. Lebanese sources described the session as “insufficient despite its importance” (al-Nahar [Beirut], September 1; September 4). Al-Senussi, who faces the death penalty if convicted, is rumored to have been tortured on his arrival in Tripoli and to have attempted suicide while in Hudba al-Gassi, but these allegations were denied by the man responsible for keeping him behind bars, Khalid al-Sharif, a former member of the Libyan Islamic Fighting Group (LIFG) and now the head of Libya’s National Guard (al-Sharq al-Awsat, September 20). Al-Senussi’s jailer maintains that his prisoner is kept in comfortable conditions and provided with appropriate food, but does admit al-Senussi had complained of “humiliations” such as having his trademark bushy hair shorn. Like his former LIFG colleague, Abd al-Hakim Belhadj, al-Sharif is reported to be a candidate for the post of Libyan Interior Minister, an appointment that would mark an utter reversal of the political status quo that existed in Libya for decades. Al-Senussi was charged by the International Criminal Court with crimes against humanity in June 2011, but is expected to face similar charges in Libya rather than be extradited to the Hague. One issue of concern to Libyan authorities is determining the location of funds Qaddafi stored abroad before they are otherwise accessed or transferred. Al-Senussi is described as the primary defendant in the case surrounding the massacre of over 1,200 Libyan Islamists in Abu Salim prison in 1996. The trial of Saif al-Islam al-Qaddafi (currently held by the Zintan militia) has been postponed until further evidence is gleaned from al-Senussi’s interrogation (Tripoli Post, September 7). As the man who best knows the secrets of the Libyan regime and who was responsible for carrying out the late Libyan dictator’s darkest plans, al-Senussi is wanted by a variety of nations, including France, where he was convicted in absentia for his role in the 1989 bombing of a French passenger plane that killed 170 people, and by Saudi Arabia, which suspects him of organizing a 2003 plot to assassinate Crown Prince Abdullah. 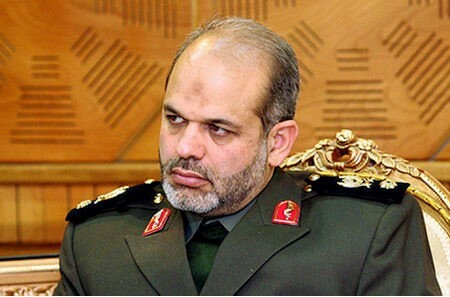 The United States and a number of international human rights organizations have urged that al-Senussi be given a fair trial, though it is unlikely that any of the possible outcomes of such proceedings could offer anything more than a grim or even short future for the former intelligence chief. Libya is now seeking the extradition of a number of former regime officials from Egypt and has sent a list of wanted individuals to the Egyptian public prosecutor (MENA [Cairo], September 23). This article was first published in the September 27, 2012 issue of the Jamestown Foundation’s Terrorism Monitor. For decades one of Egypt’s most violent extremist groups, al-Gama’a al-Islamiya (GI) is currently engaged in a struggle to establish itself as an Islamist political party in post-revolutionary Egypt. Though traditionally a Salafist-Jihadi movement, GI has not established close relations with al-Nur, the largest of Egypt’s Salafist political parties. Nor is it close to the Muslim Brotherhood, which recently ignored the movement in the distribution of senior government posts. On September 17, a GI spokesman announced that the movement had formed “al-Ansar,” a new movement drawing on young people of various Islamist trends to protect the reputation of the Prophet Muhammad by producing films about Christianity and Judaism and starting a publishing house and satellite channel to support this effort (al-Masry al-Youm [Cairo], September 17). While the movement continues to work on its conversion to a political party, it appears not to have abandoned its commitment to jihad, at least beyond Egypt’s borders. GI spokesman Assem Abd al-Maged has stated that GI members were travelling to Syria to join the anti-Assad revolt and that three Egyptians affiliated to the movement were recently killed in battle in Syria. A spokesman for the Free Syrian Army (FSA) confirmed the participation of Egyptians in the armed opposition but noted that these fighters had not revealed their political affiliations (Anadolu Ajansi [Ankara], September 8; al-Masry al-Youm [Cairo], August 26; September 9). The GI has also attempted to insert itself into the security crisis in the Sinai by sending a delegation to meet with tribal and religious leaders in the region in early September (Al-Ahram Weekly, August 30 – September 5). The GI is taking a hard stand on Egyptian-American relations, having urged Egyptian president Muhammad Mursi to cancel his September 23 visit to the United States to address the United Nations. Suggesting that the anti-Islamic film The Innocence of Muslims was made under “American auspices,” GI spokesman Assem Abd al-Maged argued that Egypt did not need to worry about U.S. cuts in aid to Egypt as such cuts were “not in [the United States’] interest, as they know we are the superpower in the region” (al-Masry al-Youm [Cairo], September 16). According to an official with the GI’s political wing, the Building and Development Party, the movement is prepared to sever its alliance with the Muslim Brotherhood’s Freedom and Justice Party following President Mursi’s failure to include GI members as presidential advisors, regional governors or members of the National Human Rights Council. The group was especially disturbed by its omission from the latter body, noting that the GI was “the faction persecuted most by the former regime, with 30,000 members having been arrested and 20 of them having died in prison due to torture and diseases” (al-Sharq al-Awsat, September 9; al-Masry al-Youm [Cairo], September 9). There has been some speculation in Egypt that the recent protests at the U.S. Embassy had less to do with anger over the anti-Muslim film than with an opportunity to embarrass the Mursi government after it failed to include the GI in the new government. Though the Brothers may not be offering much in the way of political appointments, some veteran members of the GI are enjoying a bit of revisionary justice under the new regime. President Mursi pardoned 26 members of GI and its Islamic Jihad offshoot in July. Four members of GI who were sentenced to death in 1999 during Mubarak’s rule were released on September 5 pending a ruling in early November on their case. 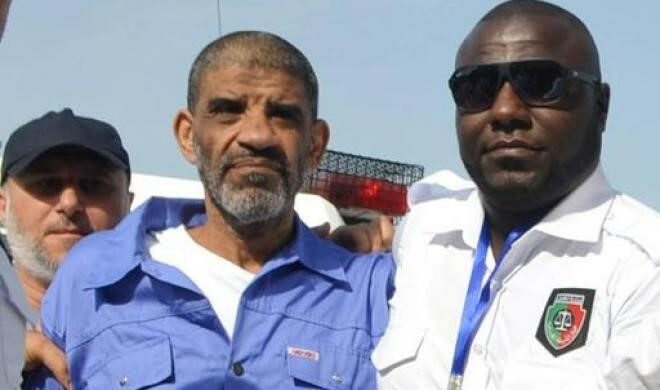 The four were among 43 Egyptians returned to Egypt through the CIA’s “extraordinary rendition” program after being sentenced to death in absentia in the “Albanian Returnees” case of 1999 (Ahram Online, September 5; al-Masry al-Youm [Cairo], September 7). The GI members had been charged with attempting to overthrow the government, killing civilians and targeting Christians and the tourism industry. One of those released, Ahmad Refa’i Taha (indicted in the United States for his role in the 1999 U.S. Embassy bombings in East Africa) has demanded an immediate pardon rather than wait for the November ruling, describing the case as “a huge insult to the revolution and revolutionaries…We are considered the first to fight the former regime, which nobody revolted against like us… We would like people to have shown some appreciation for those who opposed Mubarak and his regime” (al-Hayat, September 7). Demands by the GI and other Islamist groups in Egypt and Libya for the release of former GI leader Shaykh Omar Abd al-Rahman from an American prison (where he is serving a life-term for his role in the 1993 World Trade Center bombing) have been supported by President Mursi, who has asked for the shaykh’s release on humanitarian grounds. In the coming parliamentary elections, GI may seek to capitalize on growing rifts within al-Nur, the largest of the Salafist political parties (Ahram Online, September 25). According to GI leader Aboud al-Zomor, the movement will seek to form new alliances prior to the elections and is determined to increase the handful of seats won in last year’s contest (al-Masry al-Youm [Cairo], August 30). 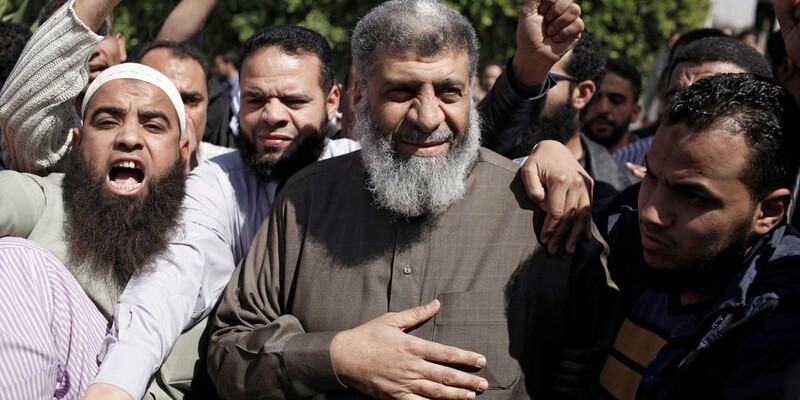 Aboud and his brother Tarek, both prominent GI leaders, were released from prison in March, 2011 after having been convicted in 1984 for their admitted roles in planning the assassination of former Egyptian president Anwar al-Sadat. Aboud has since apologized, not for killing Sadat, but for creating the conditions that led to Hosni Mubarak’s authoritarian 30-year rule. 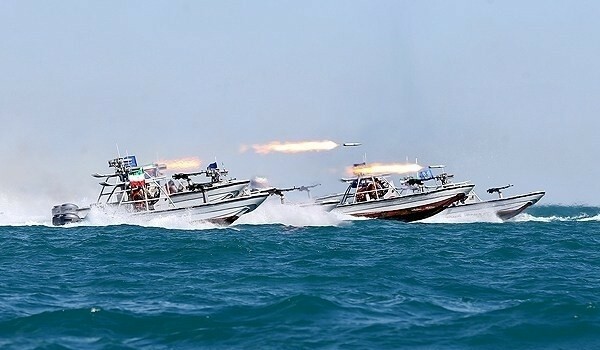 Kenya’s navy continues to play an important role in the multi-national struggle against Somalia’s al-Qaeda affiliated al-Shabaab movement by shelling the Shabaab-held port of Kismayo in southern Somalia. These operations come at a time when Kenya is making significant upgrades to its naval capacity through purchase or donation. These upgrades are intended to enhance Kenya’s ability to carry out anti-piracy and counter-terrorism operations in the Indian Ocean. Kismayo’s port operations and lucrative charcoal trade are the main source of revenue for al-Shabaab since it pulled out of Mogadishu last year. Other forces that have gathered around Kismayo in preparation for the final assault include Ugandan and Burundian AMISOM troops, Somali government forces and the local Ras Kamboni militia of Ahmad Muhammad Islam “Madobe,” which were expelled from Kismayo by al-Shabaab in 2009. British experts are reported to have played a facilitating role in planning sessions for the assault on Kismayo held in Nairobi and attended by Ugandan AMISOM commander Lieutenant General Andrew Gutti (Daily Nation [Nairobi], September 4). Since Kenya joined the campaign against al-Shabaab with Operation Linda Nchi in October, 2011, the Kenyan navy has participated in naval operations designed to restrict al-Shabaab supplies of arms and fuel, secure Kenyan waters from terrorist infiltrators and deter piracy (see Terrorism Monitor, November 11, 2011). While the Kenyan Army deployment in Somalia formally joined the African Union Mission in Somalia (AMISOM) on June 11, the Kenyan Navy and Air Force (which has also carried out bombing operations over Kismayo) were not included in the agreement and thus do not come under the Ugandan-dominated AMISOM command structure. Kenyan warships are now playing an important role degrading the defenses and military capacity of those al-Shabaab militants who have not seized the opportunity to join the civilian flight out of Kismayo. There are reports that al-Shabaab has attempted to stiffen its resistance by bringing in hundreds of reinforcements in armored vehicles (Jowhar.com [Mogadishu], September 7). Even if al-Shabaab is forced to make a strategic withdrawal from Kismayo, occupying AMISOM forces are almost certain to be met by improvised explosive devices, land-mines and ambushes by hidden militants (after the pattern of Mogadishu). After reportedly being provoked by an al-Shabaab gunboat, a Kenyan navy ship fired ten rounds on Kismayo on September 3, while the port area and airport were shelled the next day (Daily Nation [Nairobi], September 5; VOA, September 4; BBC, September 4). Kenyan ships fired on what they believed to be a Kismayo arms cache on September 5, killing a reported seven Shabaab militants and destroying a stockpile of “technicals” [armored battle wagons], arms and munitions (RFI, September 6). Residents of the town said the attack began shortly after the militants had dragged the bodies of four Kenyan soldiers killed in the battle for Afmadow into the town square for public display (RFI, September 6). A Kenyan ship fired on a Shabaab anti-aircraft emplacement on September 11. In the last few months Kenya has added two ships to its fleet that will significantly enhance its naval strength. In June, France donated the 1976 vintage patrol boat La Rieuse, one of ten ships of the P400 class used to patrol the waters of its overseas possessions. Equipped with a 40mm cannon, La Rieuse operated in the Indian Ocean from the French base at Réunion. 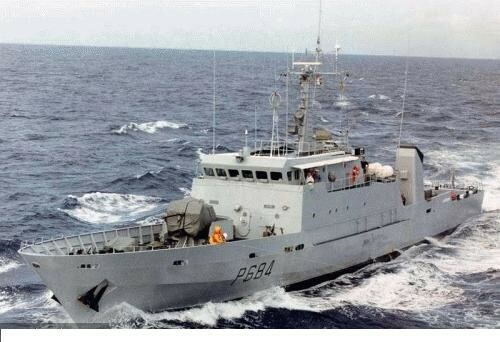 Most of the P400 class are now being decommissioned, but La Rieuse (now renamed KNS Harambee II) was donated in the interests of helping Kenya carry out high seas security operations (Meretmarine.com, June 7; Defenceweb.com, June 10). 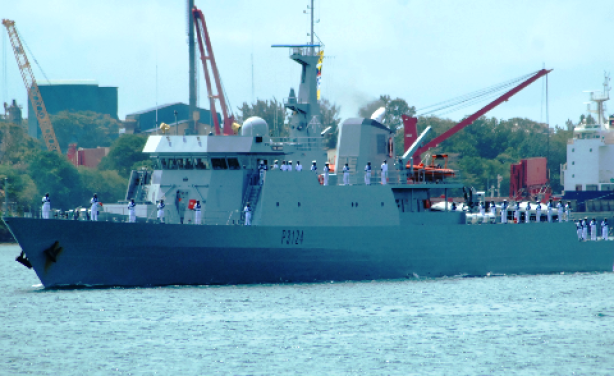 Kenya has also finally taken possession of the 140-ton Jasiri, a Spanish-built oceanographic survey vessel that has been fitted with naval guns, missiles, machine-guns and radar and communications systems, making it the most powerful ship on the East African coast (Nairobi Star, August 30). The ship was supposed to be delivered in 2005, but the purchase became entangled in Kenya’s Anglo-Leasing corruption scandal. As a result, the ship sat without maintenance in a Spanish dock for seven years. A Kenyan delegation arrived to complete the deal in February but instead rejected the ship on the grounds that much of the equipment was outdated and no longer functioning. After an unsuccessful attempt to sell the ship to the Nigerian Navy, Kenya finally negotiated a deal with the Jasiri’s builders, Euromarine Industries (Nairobi Star, April 27). Mombasa, the Kenyan Navy’s main port, was consumed by deadly street riots when the Jasiri arrived following the assassination of Muslim preacher Aboud Rogo Muhammad, a well-known supporter of al-Shabaab. A statement issued by al-Shabaab urged Kenyan Muslims to “take all necessary measures to protect their religion, their honor, their property and their lives from the enemies of Islam” (AFP, August 29). Nonetheless, Kenyan Chief of Defense Forces, General Julius Karangi, warned that the arrival of the Jasiri had shifted the power equation on the East African coast: “Jasiri has capabilities and capacities that we did not have. If there are some people out there thinking they can come to our waters and worry us, let them know that things can get very tough for them” (Africa Review [Nairobi], August 31). The Navy has not yet announced whether the Jasiri will participate in the Kismayo operation, but its deployment there seems likely after trials are carried out. Rebellions in remote regions of South Sudan continue to plague efforts to restore security in the new nation and further a disarmament process that is ironically being cited as one of the primary causes of the latest disturbance in South Sudan’s Jonglei State. The so-called Yau Yau Rebellion, named for its leader, failed politician David Yau Yau, has brought many youth belonging to South Sudan’s Murle tribe into direct conflict with troops of the Sudan People’s Liberation Army (SPLA), the former rebel group that now forms the national army of South Sudan. A former theology student, Yau Yau was defeated by a SPLM candidate in the April 2010 elections. Rather than accept defeat, Yau Yau gathered disaffected youth of the Jonglei-based Murle tribe and launched an attack on Pibor in May, 2010, killing several SPLA soldiers. He continued to mount ambushes on SPLA troops and South Sudan wildlife rangers until 2011, when he agreed to a ceasefire. During his reintegration with the SPLM government, Yau Yau received the usual reward for rebels who have given up their struggle—a general’s rank in the SPLA, despite Yau Yau’s utter lack of military experience. The SPLA reported in April that Yau Yau had fled to Khartoum, presumably to obtain aid for a new rebellion from the government of Omar al-Bashir, which has been engaged in a proxy war with the South for several years (Sudan Tribune, April 8). Yau Yau has since enjoyed some success in fighting on his own turf in Pibor County (south-west Jonglei State). On August 23, Yau Yau’s men were joined by armed civilians in killing as many as 40 SPLA soldiers looking for the rebel leader in the Lekuangole Payam district of Pibor (Miraya FM [Juba], August 27; Upper Nile Times, August 27 ). In the aftermath of the attack, the commander of the SPLA’s Division 8, Major General Botros Bol Bol, vowed that “Yau Yau will die like [George] Athor… they will not escape from our hands,” while Governor Manyang said the army had been instructed to teach the rebels “a lesson they will never forget” (Sudan Tribune, August 28). That lesson was postponed when Yau Yau’s men attacked SPLA troops again on August 30 (Sudan Tribune, August 30). SPLA troops involved in disarming the Murle (who fought in pro-government militias against the SPLA during the civil war) have been accused of committing numerous rapes and using various methods of torture and coercion to get Murle tribesmen to reveal where their weapons are hidden during the disarmament campaign, though an SPLA spokesman described such reports as “lies” (Sudan Tribune, August 27, August 30; BBC, May 25). However, Jonglei governor Kuol Manyang played down the possibility the violence was connected to SPLA excesses in the disarmament process: “It is not revenge, it is a rebellion.” The governor suggested that human rights violations amongst the Murle could be the work of “individuals” amongst the 8,000 SPLA soldiers deployed in the Pibor region (Sudan Tribune, August 27). 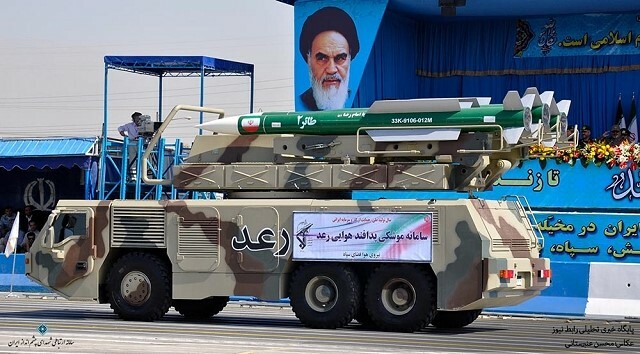 Manyang has stated that Khartoum is the sole source of arms for Yau Yau’s forces and claims that helicopters are hidden in the bush that are used to resupply the rebels (Sudan Radio Service, August 31; Sudan Times, August 30). Most of the Murle live in the Upper Nile lowlands, though smaller groups live in the highlands of the Boma Plateau and across the border in southern Ethiopia, from whence they came in the 19th century. Their pastoral lifestyle has often brought them into conflict with other pastoralists in South Sudan over scarce resources. There are also residual tensions from the civil war, in which many Murle fought against the SPLA in Major General Ismail Konyi’s pro-Khartoum Pibor Defense Forces (South Sudan News Agency, March 18). Cattle-raiding is endemic amongst the tribes of Jonglei State and has grown worse with the proliferation of automatic weapons during the civil war, but it is the Murle proclivity for abducting hundreds of children annually that has enraged their neighbors. The cause of the abductions appears to be widespread infertility amongst the Murle, which is commonly believed to be caused by an epidemic of syphilis, though very little serious research has been carried out to discover the precise reasons for the problem, which appears to be long-standing—some Nuer claim the abductions began in the 17th century (Bor Globe, April 9; South Sudan News Agency, January 5). [The] Murle cannot increase their population by abducting Nuer, Anuak and Dinka’s children. If Murle’s women have fertility problem, the Nuer and Dinka are willing to accept intermarriage with Murle. The Dinka, Nuer and Murle’s chiefs can sit down and talk about intermarriage to assist our Murle brothers to increase their population if their women are not procreating. 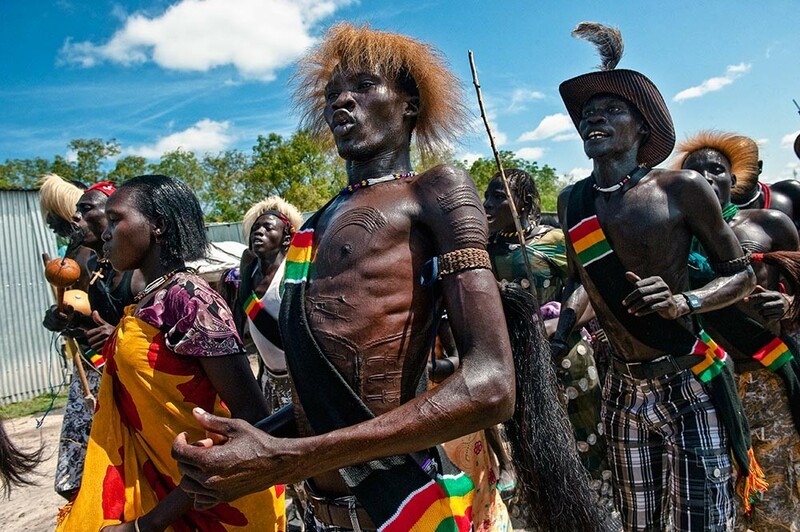 The chiefs can decide the number of cattle a Murle man should pay as dowries to marry a Dinka or Nuer girl (South Sudan News Agency, January 5). One of the organizers of the December-January raids on the Murle was Dak Kueth, a Lou Nuer “magician” who headed for the Ethiopian border with 200 armed men rather than submit to SPLA disarmament, committing further attacks on the way. In late June, Dak Kueth’s group became trapped between SPLA forces and Ethiopian troops, forcing the entire group to surrender to the Ethiopians. Some of those detained were Ethiopian nationals from the Nuer community of western Ethiopia’s Gambela district, but Dak Kueth and the Sudanese Nuer were turned over to the SPLA (Sudan Tribune, April 17; June 27). Led by Lieutenant General Kuol Deim Kuol, the disarmament campaign that began in March has been hampered by difficult terrain, a lack of roads and Murle fears that they will be defenseless in the face of further attacks from the Nuer and Dinka (Sudan Tribune, April 17). As many as 100,000 people remain displaced after the tribal clashes of December 2011 and January 2012, in which 1,000 to 3,000 people were killed.